To allow your website to work most effectively for you, consideration and versatility is the key. You need to identify the most effective forms of advertising on the net to attract visitors to your webpage. This is most effective if you can identify and target the market or niche in which you specialise. Google AdWords used in conjunction with other types of advertising including a good SEO campaign can help your website to be ranked higher by Google, placing you on the front page when people type in search words associated with your particular niche. It all sounds very time consuming and draining. To make things easier allowing you to focus on sales TBA Media offer you full marketing and management campaigns taking care of all your needs and ensuring regular updates and management of your website to maximise its productively and have it work effectively for your business the way you envisioned it. A consultation is organised where we will discuss your budgets, desires, and outcomes. We will offer our recommendations and set up a strategy to be implemented. 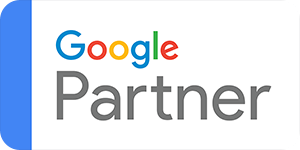 Once this initial consultation and set up is under way we will take care of your Google AdWords campaign for its duration leaving you free to concentrate on other matters. You may have noticed when trawling through the internet yourself that on the first page under any search results there are always a couple of businesses which appear at the top with a yellow (Ad) next to them. This is a result of Google AdWords campaigns. These businesses pay to have their website appear at the top. The results of this is higher volumes of credible traffic and leads being driven to their business giving them the lion’s share of enquiries and sales. TBA Media can help you to achieve this recognition and exposure through the development of a strategic campaign specifically designed for the purpose of increasing your visibility to customers. We are able to set the campaign up with a budget discussed with you. With many satisfied customers under our belt over the years, call us and see how we can help your business make the transition to the big league and beyond with an effective Google AdWords campaign.